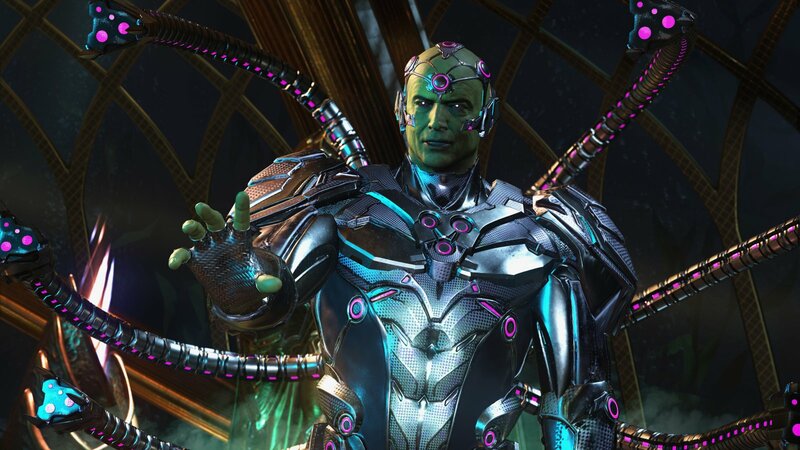 After months of silence, NetherRealm Studios has unveiled Injustice 2's story trailer and latest details. The cinematic story trailer features both returning characters and new characters yet to be confirmed for the game. Among the confirmed playable characters are Robin (Damian Wayne), Braniax & Darkseid (DLC pre-order exclusive). Poison Ivy and Bane are also seen in the story trailer, practically confirming they'll be in the game as well. NetherRealm also announced a Deluxe ($79) Edition featuring 3 DLC characters, and an Ultimate ($99) Edition with 9 DLC characters. 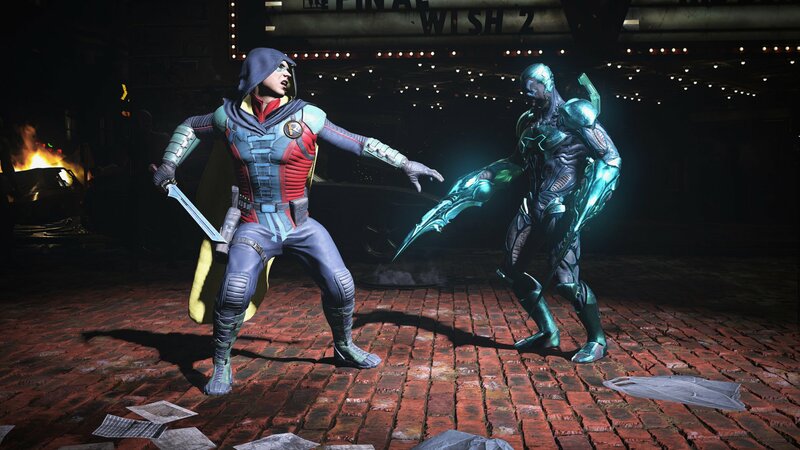 Below is the official image from the Playstation Store showing the 3 versions of Injustice 2. As you can see, the Deluxe and Ultimate Editions also include "premier skins" and "gear shader packs" in addition to the DLC fighters. There are currently 14 confirmed playable characters for Injustice 2, including Darkseid - a DLC fighter. 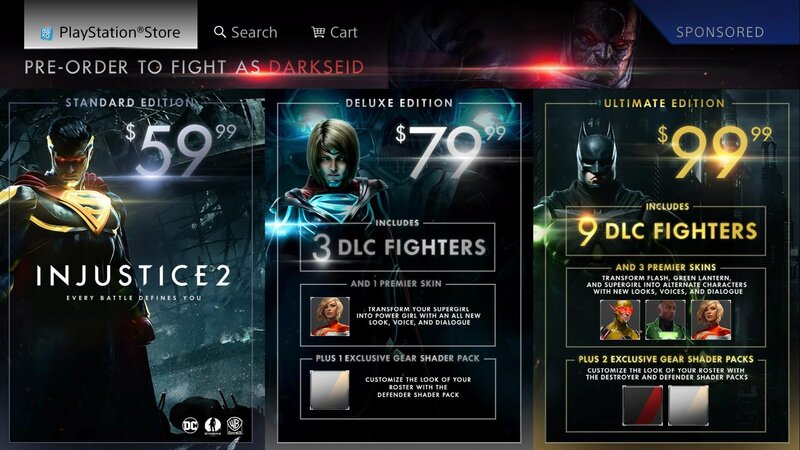 If the DLC packs don't include Darkseid, this will bring the playable roster up to 23 (at the least). Lastly, here are 2 brand new screenshots below showing Robin and Braniac in action. Stay tuned on FightersGeneration.com for continued coverage of Injustice 2.